Training & Sports Activities | Central Reserve Police Force, Government of India. Known for its high standards of discipline as Central Armed Police Force, the CRPF has carved a niche for itself in the field of Sports. Since its inception as the "Crown Representative Police” from 1939, Sports became an integral part of its culture. On being renamed as the "Central Reserve Police Force” in the year 1949 and reconstituted as one of the Armed Forces of the Indian Union, Sports became an organized activity in the Force with the aim of "Fight to Win”. The Force then started organizing the intra-mural Sports Competitions on regular basis to give a chance to all of its ranks to participate and display their sporting talents. It was in 1953, the Force had participated in the All India Police Games and registered its first entry in the game of National level. Initially starting with low key, the Force rose to the level of the Champions dominating All India Police and National Games for year together. The CRPF hit the headlines of International Sports when one of its Athletes, namely Shri Gurbachan Singh Randhawa won the Gold Medal in Decathlon in 1962 Asian Games at D’Jakarta and become fifth in the 110 Mtr Hurdles event in 1964 Tokyo Olympics. Since then, the force has never looked back and goes on scaling the new heights in Sports. 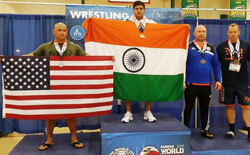 Its sports persons have brought laurels for the Country by excelling in the National and International Sporting events. The Sports persons of CRPF got 2(two) Padamashree, 01(One) Rajeev Gandhi Khel Ratna and 16(Sixteen) Arjuna Awards for the outstanding contribution to the Indian Sports. Presently, the Force has al large Sports set up with 36 Sports disciplines and over 825 National level Sports persons, undergoing sports training with able guidance of qualified Coaches & managers supported by Sports Medicine Specialists and Sports Administrators. In the history of sports, CRPF sportspersons had done better performance and brought laurels for the country as well as the department and achieved great success. The list of such sportspersons who have been awarded Arjuna Award and other National Sports Award is attached as Appendix-"A”. In the said games, SM/GD (Mahila) Richa Mishra, Swimmer of Central Swimming Team won 08 Gold Medal and 02 Bronze Medal. In the 2017 World Police & Fire Games 105 selected sportspersons from all CPFs/ State Police had participated. The performance of CRPF sportspersons were much better than other sportspersons selected from CAPFs/State Police. No. 171040084 CT/GD (Mah) Seema of 104 Bn, presently attached with Central Weightlifting Team (Women) at GC New Delhi had participated in 2017 commonwealth Senior (Men & Women) Weightlifting Championship (Qualification events for 2018 Commonwealth Games) held at Gold Coast City, Australia from 3-9 September, 2017. 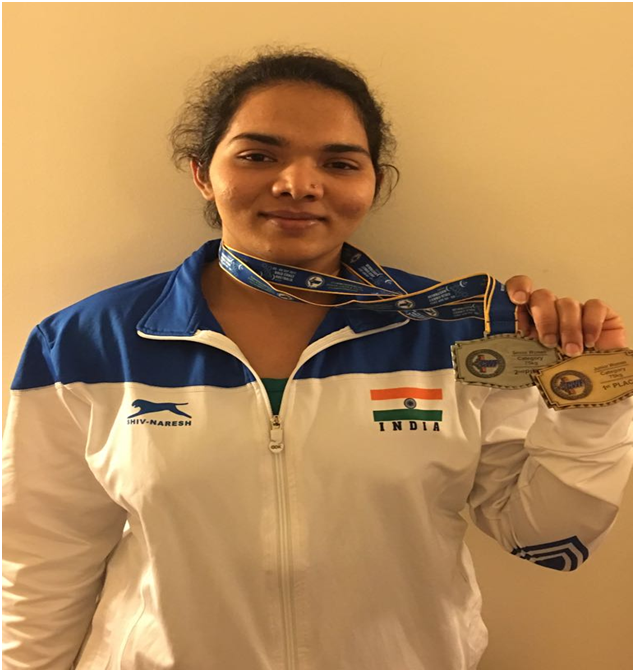 She has won Gold Medal in Junior 75Kg weight category and Silver medal in Senior 75Kg Weight Category. She has also qualified for the forthcoming Commonwealth Games-2018. At present CRPF is having 36 Teams (Men & Women) in various sports events for participating in sports competition held in the country at National Level/ All India Police Game as well as in International level. The sportspersons are being provided systematic and scientific coaching by our NIS qualified Coaches which enables them for participation in various National and International Level Sports Competition. 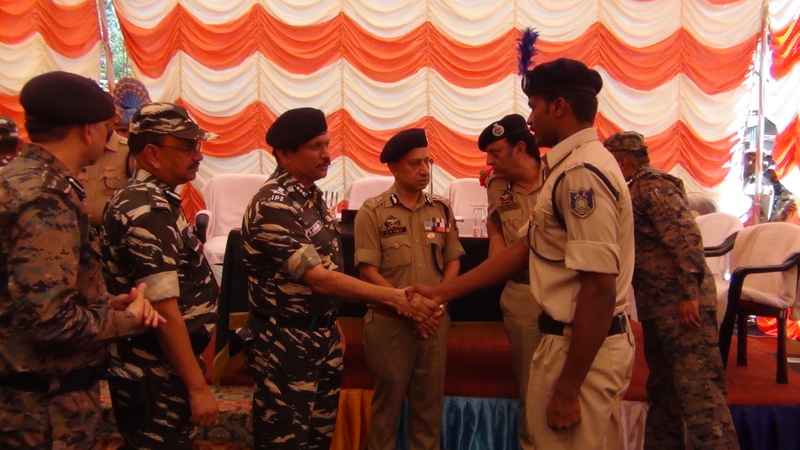 CRPF has taken keen interest to search best players for participation in National and International Level Sports Competition by recruiting fresh sportspersons through advertisement and doing talent search exercise among the recruits undergoing basic training in various CRPF Training centre. Moreover, it is matter of great privilege that CRPF is having two Padamshree, one Rajiv Gandhi Khel Rattan awardee, Sixteen Arjuna awardees, Thirteen Olympians, Thirty Asian Games players, Twenty Common wealth games players and around of 95 International players who has participated in various International sports competition is presently in Central Sports Teams for providing systematic and scientific coaching to the sportspersons for preparation to participate in various sports competition . 4th All India Police Archery Championship-2015 held at Chumukedima, Dimapur (Nagaland) from 19th to 23rd January,2016. Sr.National Triathlon Championship-2016 held at Guwahaty (Assam) from 23rd to 24th January,2016. 12th South Asian Games-2016 held at Shillong(Meghalaya) and Guwahaty (Assam) from 05th to 16th February,2016. 16th AIP Band Competition-2015 held at Rajasthan Police Academy, Jaipur from 19th to 23rd February,2016. 64th AIP Hockey Championship-2015 held at Guwahati(Assam) from 22nd to 29th February,2016. 64th AIP Volleyball Cluster-2015 held at Jodhpur(Rajasthan) from 15th to 19th March,2016. 9th Sr.Men’s & Women’s Bodybuilding & 4th Men’s & Women’s Physique Sports Championship-2016 held at Roha, Raigarh, Maharashtra from 11th to 13th March,2016. 59th National Shooting Championship (Big Bore Events) held at Kadarpur, Gurgaon (Haryana) from 16th to 22nd March,2016. 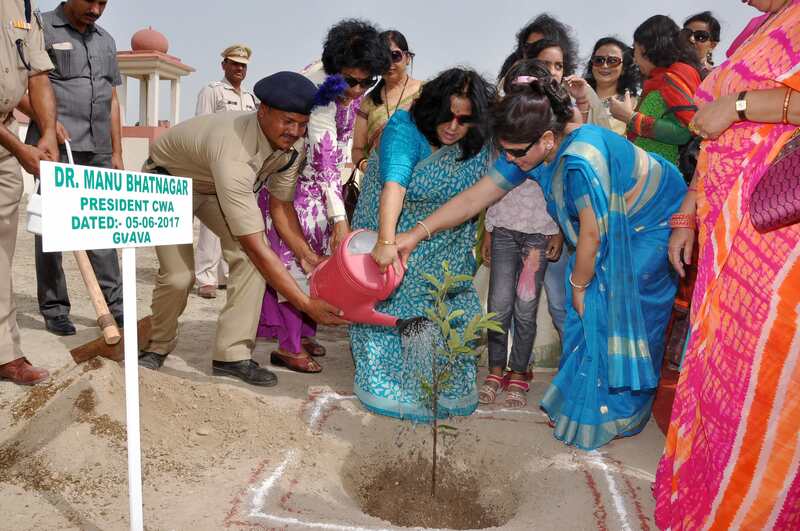 64TH AIP Aquatic & Cross Country Championship-2015 held at Lucknow from 18th to 22nd April,2016. 20th Federation Cup Sr.National Athletics Championship-2016 held at New Delhi from 28th to 30th April,2016. 17th All India Police Band Competition-2016 held at Pune (Maharashtra) from 10th to 15th June,2016. Champion in High Board & Spring Board Diving. 10th All India Police Shooting Championship-2016 held at Thirvandumpuram (Kerala) from 21st to 24th November,2016. Shooting Team overall Runners Up in Both Men & Women Section. To develop the sports, CRPF is planning to establish a Sports Academy in GC New Delhi with all basic sports facilities for the sportspersons at one a place for their regular practice/ training for preparation to participate in various level sports competition. No. 131350021 RT/GD (HG) (Mahila) Pooja Kadian of Central Wushu Team CRPF represented India in 75Kg category in World Wushu Championship held at Kazan, Russia, From 26/09/2017 to 04/10/2017 & Won Gold Medal. No. 171040084 RT/GD (HG) (Mahila) Seema of Central Weightlifting Team CRPF Represented India in Commonwealth Senior Qualification event held at Gold Coast Australia from 3rd to 9th Sep,2017 & 01 Gold Medal.